STEAM for All had a wonderful 2018! Thank you to everyone who volunteered or participated at our events in the past year. Read on for a recap of what each SfA organization was up this past year. OC Math Circle started up our guest lecture series with a talk on New Frontier of dark matter by Professor Jonathan Feng and Michael Wu. 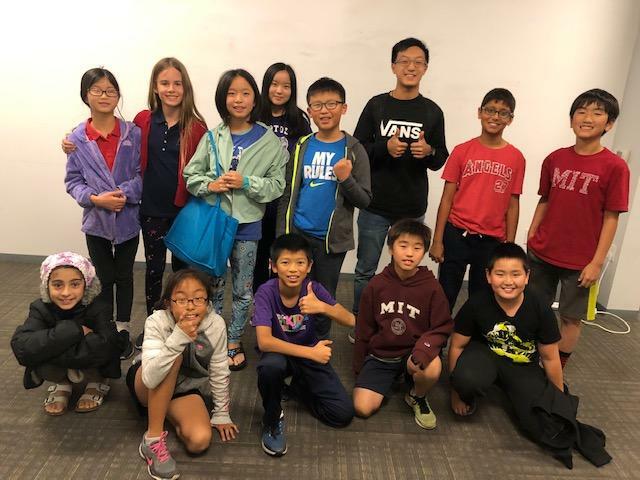 OCMC’s High School Math Club team attended the Harvard MIT Math Competition in February 2018. 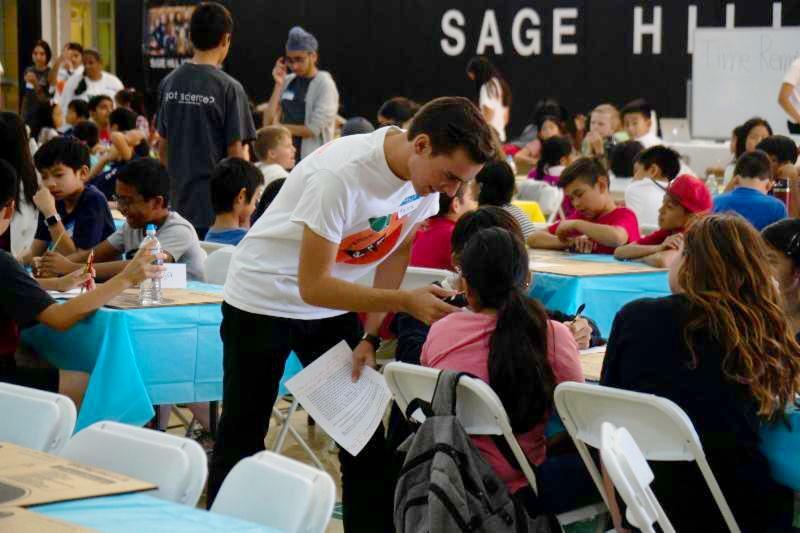 We hosted the Thanksgiving Math Tournament in November, brought the AMC 8 test to over 220 local students, and successfully continued to offer popular events, including Elementary School Math Club, Middle School Math Club, High School Math Club, Santa Ana Math Club meetings, and Math Fun Nights. OC Scholar expanded our journalism series for students in grades 6-8 to cover a broader range of topics, including “Lead Writing and Interviewing” and “Photography.” For the first time, OC Scholar participated in STEAM for All’s Friday Fun Night events and expanded our coverage of SfA events and STEAM related topics. OC Coder grew our Hour of Code to include more school chapters, reaching a diverse range of students from all around the county. OC Coder improved our Scratch classes at the Ardent campus to a more rigorous standard, which had overwhelmingly positive response. OC Coder’s Girls Who Code program received a $3,000 grant from AspireIT and will host at the Boys & Girls Club in Santa Ana to spread passion for computer science to all demographics. OC Coder continued our popular Scratch Saturday classes and senior center program. This year brought OC Coder to greater heights than ever before, and we are looking forward to serving the community further. OC Science experienced another year of innovation upon our successful activities. We continued our science bowl training sessions and stepped up our activities with the Girl Scouts, taking part in the Girl Scouts of Orange County STEM Expo, alongside companies like Google and SpaceX, and creating badge workshops to help local Girl Scout troops earn their STEM badges. We had our first collaboration with the Thomas House Family Shelter, where we organized a science fun night for the children at the shelter. OC Science also improved upon some of our oldest events. We organized and hosted the 4th annual Orange County Science and Engineering Week, which included the perennial Elementary Science Olympiad Invitational and Junior Engineering Olympiad, as well as the 3rd annual Science Bowl. Our science fun nights introduced many more interactive and hands-on events, including interactive demonstrations like dry ice comets. 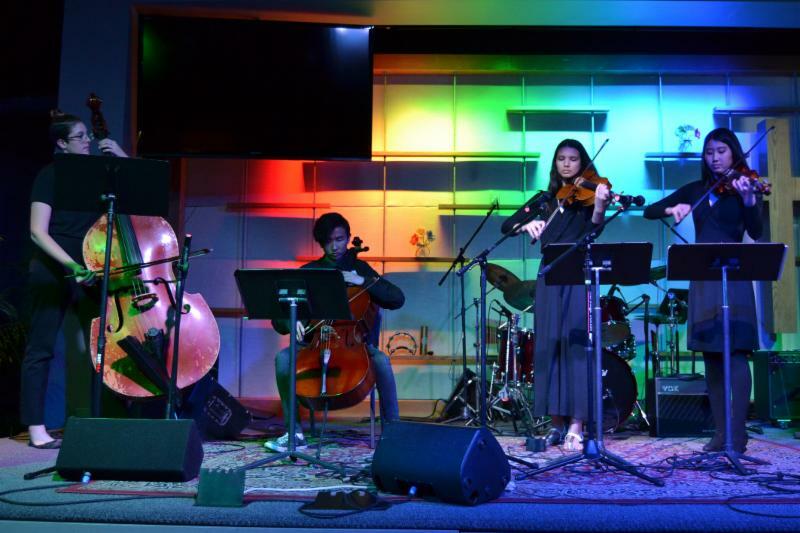 OC Arts hosted the “Art from the Heart” benefit concert, featuring local student talent and raised funds for Human Options, an organization striving to help domestic abuse victims, in the spring. Our dynamic potential of the Arts to impact students in Orange County and our universality continue to be an inspiration to OC Arts’ leadership as well, particularly during this year’s planning of Santa Ana Arts classes designed to ignite the artistic inclinations and passions of students in Santa Ana, empowering underserved youth to embrace the Arts as a pursuit all their own. Students engaged with the Arts on a different level during this year’s OC Arts Fun Night, when they participated in activities that focused on collaboration and creativity and featured various art projects. OC Arts is diligently preparing for our 2019 Benefit Concert, which will be the fifth such annual event held each spring to benefit a contemporaneously relevant cause. 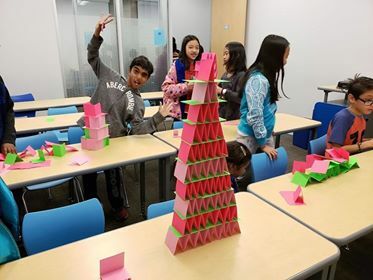 OC Engineer established our new monthly Engineering Fun Night program, which aims to reach out to more of the community through simple hands on demonstrations. Building off previous years’ programs, OC Engineer developed a new activity, paper circuits, which utilizes copper tape and a coin cell battery to light up a small LED. This activity is a new endeavour to get younger kids interested in electrical components and circuits. Finally, we are working towards publishing DIY YouTube videos, so that anyone can learn engineering design principles and basic physics at home. You can find our first video here! 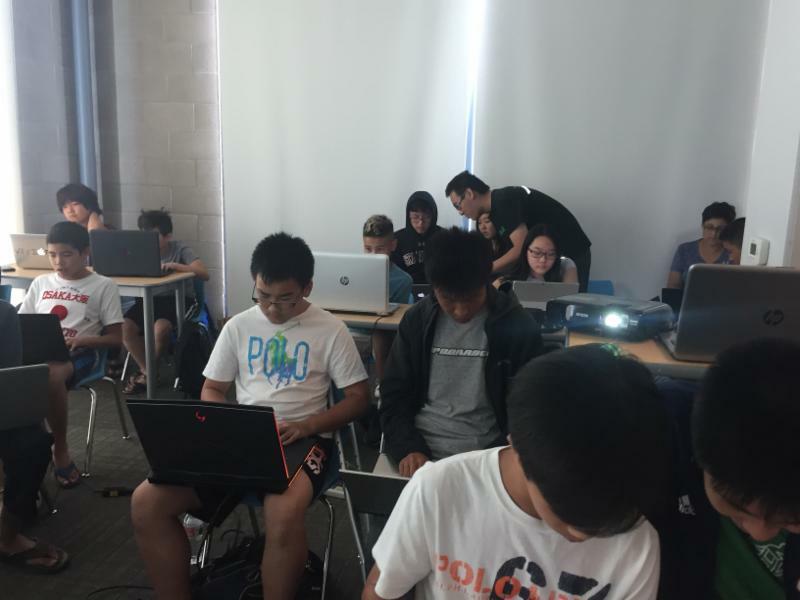 OC Hacker solely focused on development efforts this year. Through our continued expansion of the developer team, we have successfully launched a new website for the redesigned STEAM for All, and have been in the process of revamping a completely renewed version of Voluntu 2.0 to resolve software issues and facilitate volunteers’ process of recording their hours. 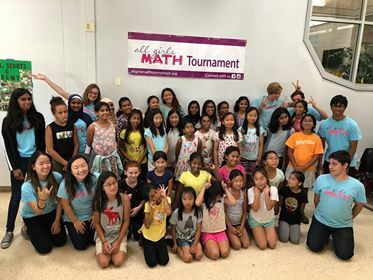 All Girls Math Tournament hosted our ninth annual tournament in Orange County as well as multiple satellite locations including ones in Romania, China, and Canada. 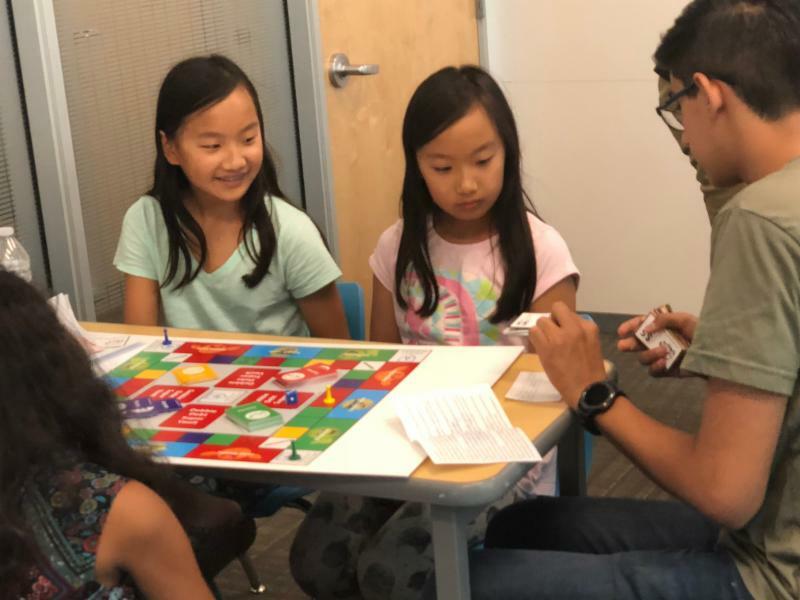 AGMT held classes to prepare for the tournament as well as a summer and winter math mixer where girls had fun playing math games and getting to know each other. In addition, AGMT hosted a booth at the Girl Scouts of Orange County STEM Expo for the second year and worked with Girl Scout troops to help them earn their STEM badges. We are looking forward to holding our 10th annual All Girls Math Tournament in April 2019 along with additional satellites and more events! OC Launch successfully promoted both of OCMC’s tournaments, Thanksgiving Tournament and New Year Invitational Tournament. In addition, OC Launch collaborated with OC Arts and OC Scholar during the summer for STEAM for All’s Summer Fun Nights. 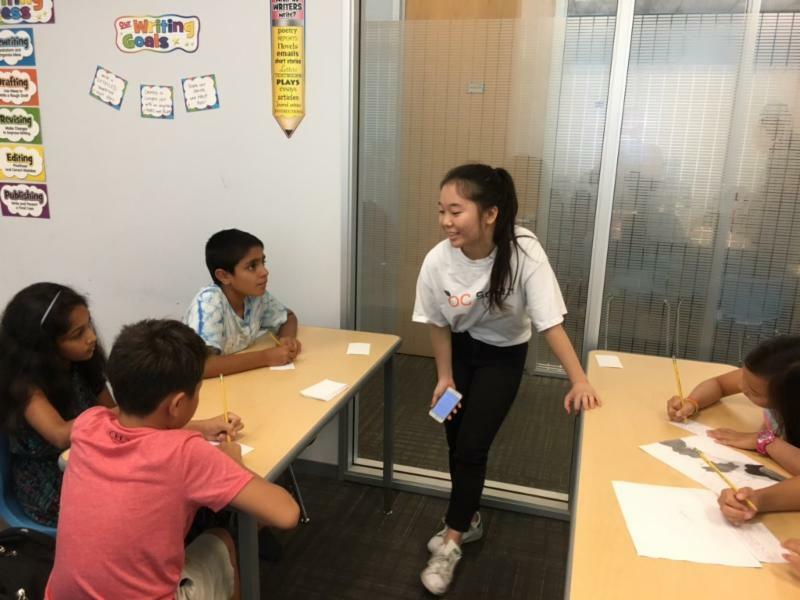 We hosted an activity that teaches basic business concepts at the Santa Ana Math Club, which over 200 students attended. OC Launch has collaborated with OCMC to hosts fun nights throughout the school year. All STEAM for All organizations came together for an Open House at Sage Hill School in May, as well as the 3rd annual STEAM in the Park at Bill Barber Park in September. STEAM for All is grateful to have shared 2018 with you, and we are excited for an even better 2019!